Saline Fiddlers Philharmonic are excited to announce they will play at The Ark in Ann Arbor on Sunday, October 14 at 7:30pm, The Fiddlers are especially pleased to announce they will be joined by special guest performing artist Brad Phillips! Tickets are $15 and available for purchase online at The Ark’s website. The show is made possible in part with support from Northstar Bank in Ann Arbor. The Saline Fiddlers have just completed a 20-show summer schedule that included performances in front of large, enthusiastic crowds at some of the best outdoor music festivals throughout the states of Michigan and Ohio. The Fiddlers now look forward to bringing their energetic mix of folk, bluegrass, and Celtic fiddle back to the Ann Arbor area and are thrilled to share the stage with the exceptionally talented and well-traveled Brad Phillips. Phillips has gained notoriety around the country as a multi-instrumentalist. Holding both bachelors and masters degrees from the University of Michigan School of Music, Theatre & Dance, Brad’s work as a fiddler, violinist, mandolinist, guitarist, arranger, composer, producer, and teacher have made him one of the area’s most sought-after acoustic musicians. He has appeared with the likes of Jeff Daniels, The Verve Pipe, Stevie Wonder, Aretha Franklin, Joshua Davis, The Elders, May Erlewine, and toured for 10 years with Celtic super-group Millish. 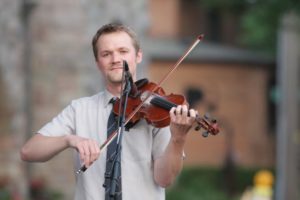 Phillips got his start performing as a Saline Fiddler during his high school years in Saline and later served as the Assistant Artistic Director, and Artistic Director for the group. At The Ark, Phillips and the Saline Fiddlers will perform their own separate sets as along with some joint tunes. This year’s Hometown Show Guest Performing Artist, Kevin Burke, will be hosting a fiddle workshop on Sunday, April 15, from 1:00 – 2:30 pm in the Saline High School Band Room. 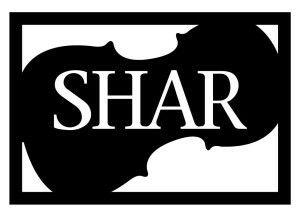 The workshop is open to all levels and all instruments; High School students, Saline Fiddlers Philharmonic students, Middle School students, and the community. The workshop is free for anyone with a ticket stub from the Hometown show on Saturday April 14 ($5 charge without a ticket stub). So, come to the show, and then come to a workshop! Kevin will do a mix of question and answer, demonstration, and playing as a group. He plans to discuss regional playing, different rhythms, bowing, and meters in Irish music, and history of Irish trad and the tunes themselves. Promises to be a thrilling workshop for all! 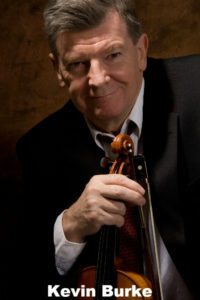 Kevin Burke is considered one of the finest living Irish fiddlers. For nearly four decades he has been at the forefront of Irish traditional music and Celtic music, performing and recording with the seminal groups The Bothy Band, Patrick Street, and the Celtic Fiddle Festival. Burke has been awarded a National Heritage Fellowship from the National Endowment for the Arts, the highest honor given in the United States for folk and traditional arts. We are sorry to hear acclaimed fiddler/composer Jeremy Kittel recently broke his arm and is no longer able to join us as our special guest artist at this year’s April 14 Hometown Show. Jeremy is expected to recover fully and we hope to get him back to Saline in the near future. Of course, every cloud has a silver lining! We are very pleased to announce that legendary Irish fiddler Kevin Burke will be our featured artist! Kevin Burke is considered one of the finest living Irish fiddlers. For nearly four decades he has been at the forefront of Irish traditional music and Celtic music, performing and recording with the seminal groups The Bothy Band, Patrick Street, and the Celtic Fiddle Festival. Burke has been awarded a National Heritage Fellowship from the National Endowment for the Arts, the highest honor given in the United States for folk and traditional arts. Please join the Saline Fiddlers and special guest performing artist Kevin Burke at the hometown show on Saturday, April 14, 2018 at 7:00 p.m. in the spacious and modern Ellen Ewing Performing Arts Center at Saline High School, 1300 Campus Pkwy., Saline. Tickets are $15 for adults and $10 for students. Tickets are on sale now at EventBrite.com, or available at the door at 6:00 p.m. Seating will begin at 6:30 p.m.
An Extraordinary and Captivating Evening of Music, Song and Dance with the Saline Fiddlers Philharmonic and Special Guest Jeremy Kittel & Co. The Saline Fiddlers Philharmonic 2018 Hometown Show will set the stage for the group’s upcoming “Lake Effect Tour” across the great lakes region. The show will feature new music by the Fiddlers, followed by a guest performance by acclaimed fiddler with local roots, Jeremy Kittel & Co. After opening performances by the middle school fiddle clubs, the Saline Fiddlers will present their energetic and polished show that features a diverse range of music from American folk, fiddle, bluegrass, jazz, western swing, and Celtic traditions. Spirited vocals and Appalachian step dancing combine with the instrumentals to create an unforgettable live performance. After a short intermission, Jeremy Kittel & Co. will take the stage. 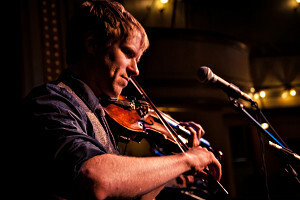 Jeremy Kittel is an acclaimed American fiddler, violinist, and composer. Fluent in multiple musical genres, his original music draws from traditional roots, jazz, Celtic, classical, electronic, and more. Kittel & Co. will release their new album “Whorls” on April 13th. In addition to his own projects, Kittel has composed and arranged for such artists as Abigail Washburn, My Morning Jacket, Camera Obscura, Jars of Clay, Yo Yo Ma and the Silk Road Ensemble, and the Grammy-winning Turtle Island Quartet (of which he was a member for five years). with the Saline Fiddlers Philharmonic and The Ragbirds! The Saline Fiddlers Philharmonic 2017 Hometown Show, titled “Route 66 Begins In Saline” will set the stage for the group’s upcoming summer tour across the USA on the historic path. The show will feature new music by the Fiddlers, then an exciting guest performance by another hometown favorite, The Ragbirds. The Hometown Show will open with performances from the Saline Middle School fiddle clubs, and then the Saline Fiddlers will present their energetic and polished show that features a diverse range of music from American folk, fiddle, bluegrass, jazz, western swing, and Celtic traditions. Spirited vocals and Appalachian step dancing combine with the instrumentals to create an unforgettable live performance. After a short intermission, The Ragbirds will take the stage. The Ragbirds began their musical career on the streets of downtown Ann Arbor and quickly earned a well-deserved local following. Since those early days, they have spread their style of music to 45 states to the tune of 150+ shows a year and have become festival favorites. They even invaded Japan with the international release of their album “Finally Almost Done” with the single “Book of Matches” reaching #1 on the charts in Osaka. The Ragbirds describe their sound as “a fusion of folk rock and pop hooks over danceable world rhythms stirred with a Celtic fiddler’s bow.” They’ve developed a well-deserved reputation as one of the most dynamic, high-spirited live bands in roots music. The Fiddlers are excited and looking forward to sharing the stage with them! Check them out on their website: www.theragbirds.com. The show will take place on Saturday, March 11, 2017 at 7:00 p.m. in the spacious and modern Ellen Ewing Performing Arts Center, Saline High School, 1300 Campus Parkway in Saline. Tickets are $15 for adults and $10 for students. Specially priced tickets for Fiddler alumni are available. 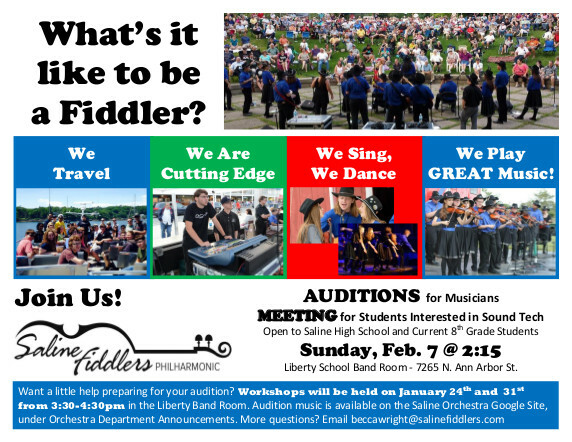 Fiddler alumni are asked to email to info@salinefiddlers.com for information about that. Ticket sales start at 6:00 p.m. with doors opening at 6:30 p.m.
Tickets will be sold at the door or online at EventBrite.com. 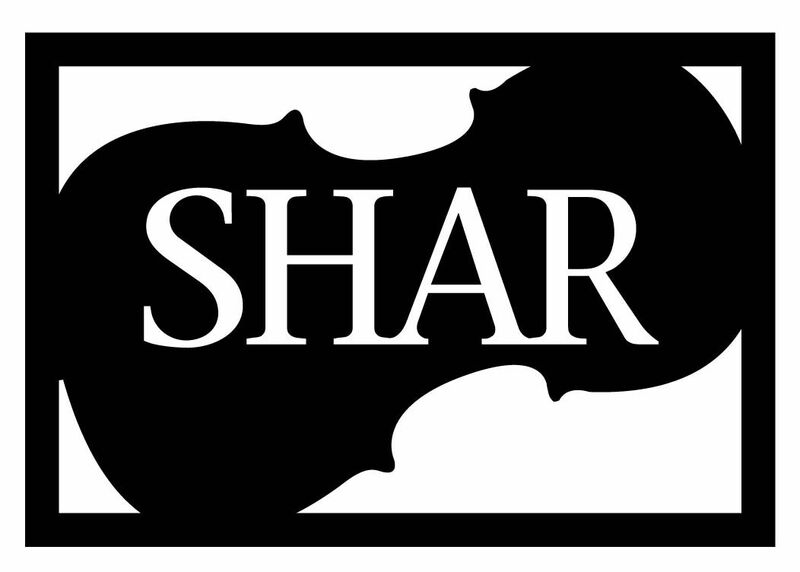 Starting at 6:00 p.m., Shar will be in the lobby with their popular Instrument Petting Zoo. They will have many different stringed instruments and all future fiddlers are invited to pick one up and have a go at fiddling! The Saline Fiddlers Philharmonic is excited to announce that Ashley Grebe has joined them as their new Artistic Director! Ashley will be following in a storied line of artistic directors that traces back to our founder, Bob Phillips, who began the Saline Fiddlers Philharmonic in 1994. SFP believes Ashley has the perfect blend of qualities to continue the tradition these leaders have begun. Ashley is a native of Vernon Hills, IL. She completed her undergraduate degree in Music Education at DePaul University School of Music and promptly accepted a position in Glencoe, IL as Director of Orchestras. While there, she founded an extracurricular fiddle club for her students. They performed in the Irish and American styles of fiddling and enjoyed the departure from their usual classical repertoire. During that time, Ashley also performed as the fiddle player in an Irish rock band in Chicago, playing both traditional and contemporary Irish music. In 2010, she took advantage of an opportunity to travel to Israel. While there she met her future husband, Rotem. This gave her an excuse to move to Israel and continue her education toward a masters degree. However, the program is in Hebrew – so she spent a year learning Hebrew before she enrolled at Tel Aviv University in Tel Aviv, Israel, graduating with a Master of Music Education in 2014. While in Israel she taught hundreds of beginner and intermediate violin students forming several string orchestras. Her work with advanced players there included founding a world music ensemble which performed music from many different cultures, exposing the students to different styles including Irish, Latin, and Klezmer. The Saline Fiddlers Philharmonic was founded in 1994 by former Saline Schools orchestra director, Mr. Bob Phillips. Ashley was excited to meet Bob at the recent Michigan Music Conference. She introduced herself and said, “and by the way, I just applied for your old job with the Saline Fiddlers Philharmonic.” Bob told her that if she got the job, to give him a call and they will talk. She says she is looking forward to doing that soon. Ashley has extensive experience teaching music and working with strings students both here in the US and in Israel. She says, “Since I was in 7th grade, I knew I wanted to teach.” She is very excited about joining the Fiddlers; she discussed this position with her old high school orchestra teacher in Illinois and he said he knew all about Bob Phillips and the Fiddlers! He told her they are an incredible group and encouraged her to go for it. Ashley says her first order of business is to take stock of how things are going in the group; that she sees her style of leadership as a balance of visions: the 20+ year history of the Fiddlers, where they see themselves going as a group and her personal artistic vision. Preparing to record another album is also high on her list, which is another balance of time, schedules and artistic vision. Ashley is also an artist (check out her Etsy store, AshleyGrebeArt). She says, “It was a hard choice – to pursue music or art; luckily I get to do a bit of both!” In addition to her art, she teaches part time at Hillel Day School of Metro Detroit and The Maria Montessori Center in Farmington Hills. And now she will also be spending quality time with her new Fiddler family! Now, 9 years later, using Becky’s vision as guidance, the Chordial has grown and become a much anticipated evening to which invitations are eagerly sought. It is an elegant evening of beautiful flowers, creative and delicious food that is themed by the region the summer tour is going, a fun silent auction filled with imaginative items, a local celebrity emcee to keep the event flowing and of course, musical entertainment from the world renowned Saline Fiddlers Philharmonic. The event this year will be Wednesday, March 23 at 7:00 p.m. The LaFontaine dealership on Michigan Avenue in Saline will once again graciously empty their showroom to provide a spacious venue with excellent acoustics and off we go! It will be a wonderful evening that everyone will enjoy and talk about – and the funds will be raised to help continue this great group of kids and volunteers that we know as the Saline Fiddlers Philharmonic. If you would like more information or an invitation to this event, please send an email to info@salinefiddlers.com. Come for the Music, Stay for the Dance! Contra Dance with Saline Fiddlers Philharmonic! On February 6 Saline Fiddlers Philharmonic (SFP) and the Ann Arbor Community for Traditional Music and Dance (AACTMAD) will host a SFP concert followed by a contra dance. Come for the Music, Stay for the Dance! If you live in the area, please join us for an exciting evening. But even if you are far away, we wish to share the origin of this event because it represents a new collaboration between our youth fiddlers and the large, local community of traditional musicians and dancers. But the fact remains that, while there are certainly some younger dancers in the area, most of the AACTMAD community is middle aged or older. The group tries to reach out to college students and young adults, but it’s been tough to draw them into the AACTMAD family. We are very fortunate to have both SFP and AACTMAD in our community. This is a unique situation which simply begs for the groups to be united, for personal relationships to be built. AACTMAD needs the youth, and Fiddlers need education and experience! We are hoping that the Contra Dance will be a wonderful introduction for the kids in a “safe” environment—with their friends surrounding them—rather than expecting them to venture out on their own on a Saturday night to a new and unfamiliar environment. Sheila says, “I’m a communitarian—I LOVE to bring people together in ways that benefit everyone. I just can’t believe it’s taken this long to put an event together!” We thank you, Sheila, for organizing this fantastic event, and for sharing your love of traditional dance with our Fiddlers for over twenty years. with the Saline Fiddlers Philharmonic and the Ann Arbor Community for Traditional Music and Dance. Saturday, February 6, 7:00 p.m.
Come for the show, stay for the dance. The Saline Fiddlers Philharmonic will begin the evening with a lively show of fiddle music; then special guests, Bowhunter and caller Michael Hamilton will take over and lead everyone in a contra dance. Michael Hamilton stepped off the dance floor and behind the microphone in 2008. He is a mainstay caller in the northeast Ohio dance communities and beyond. Michael shares the joy of the dance floor by presenting dances with poise and direct simplicity, while maintaining a flexibility and patience to match the abilities of his dancers. Bowhunter is a Michigan-based square dance band formed from the driving rhythmic and melodic forces of fiddle, banjo, and guitar. Bowhunter renders old time tunes to fuel a traditional dance floor frenzy. The group sprang from the Square Dance Kalamazoo scene, a monthly old time music & dance series that the band mates co-founded with other local dancers and players. This is a first time collaboration between SFP and AACTMAD. No dance experience is necessary – just come to enjoy the music and have fun! (please bring a pair of clean soled shoes for dancing). Tickets will be sold at the door. Admission is $10.00 for adults, $9.00 for AACTMAD Members (www.aactmad.org) and $5 for students.